Inspiration has hit me again. Pretty hard. And this time I think it’ll be harder to shake. I had some free time between classes, so I went to the store. For the first time in my life, I bought myself basic ingredients, starting with absolutely nothing. I tried to balance quality and price as I grabbed flour, sugar (white, brown, and powdered), vanilla, salt, butter, cream, and eggs… At the very last minute, standing in the check out line, I ran back to get baking powder and soda. Almost forgot. When the total came up and I took out my wallet, I mentally calculated how many tables I’d have to wait to gain it back. 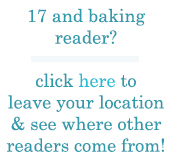 Since when was baking such an expensive hobby? This being-an-adult, shopping-for-your-own-groceries thing is tough. But I smiled the whole ride home. As the week went on, the anticipation grew. I think this is what I discovered. When the only times you bake are for dinner with the neighbors, birthdays, holidays and paid orders, something is wrong. When you’re baking just because? Because you want to, because it’s Thursday, because there are four pounds of sugar under your bed? These reasons are happiness-generators, like fresh batches of Play Doh and abandoned fields of dandelions. Faced with the freedom of no guidelines, I couldn’t decide whether to go crunchy or chewy, warm or chilled, chocolate-glazed or baked with fruit. On Saturday I was sure I would make a citrusy pound cake. Sunday I’d switched to some kind of breakfast scone, easy to share with the common room… By Tuesday I found myself wanting a few secret pots de creme in my mini-fridge, a midnight snack just for me. Then, considering the mediocre fruit selection in the dining hall at lunchtime, it hit me. I took three ripe pears and looked up a recipe for clafouti. I packed all the ingredients and tools, plus a book and my camera. I lugged the ridiculously heavy bag down the street to the dorm building that has kitchens. The kitchen was a bit of a letdown. There was no soap by the sink for dishes. The windows were blocked by buildings and didn’t let in any natural light, so no photographs. But I figured out how to work the oven, mixed the clafouti batter as best I could, and hoped for success. I sat down to read and discovered that, somewhere in Chapter 2, I could smell sugar. I pulled the puffed, golden-brown custard out of the oven and experienced a more real satisfaction than I could have possibly imagined. My bones felt solid, my lungs felt full, and would you believe it, I felt starved. I washed the dishes and repacked the bag in a dream, and as I turned to leave, I grabbed the still-hot pan without thinking. My hand automatically opened and the clafouti splattered like vanilla-infused ink. The metal pan clattered against the linoleum and I thought it would never stop ringing in my ears and in the corners of the empty kitchen. Empty-handed, without photos or a taste. Bitterness started to settle like steeping tea. But then, in spite of myself, I laughed. No regrets, no tears. Because, let’s be real, it was a pretty stupid move on my part, but it didn’t take away any of the pleasure I got from the baking process. Blog post or not, for one afternoon, I felt unfiltered elation. Maybe there was a lesson in the unsalvageable clafouti – the joy comes from the process, not from being recognized as the “baking blogger” or from eating a lot of cream. Instead, I’m sharing these Peanut Butter Pretzel bites with you. They’re easy enough to make from a dorm. Creamy peanut butter, sugar, and vanilla combine in a rich and addictive filling. 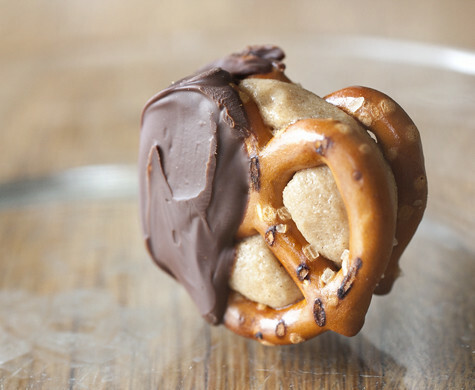 Sandwiched between two crisp, salty pretzels and dunked in bittersweet chocolate, you end up with an incredible party snack that vanishes fast. No mixer required. No fiddling with foreign ovens. You can even melt the chocolate in the microwave (which I did.) The result is a delicious, one bite contradiction of creamy and crunchy, sweet and salty, peanutty and chocolatey. I knew right away they wouldn’t survive the weekend, but that’s okay. I’ve still got 3 ½ pounds of sugar under my bed. That’s reason enough for me. Actually, is there really any reason not to make these? 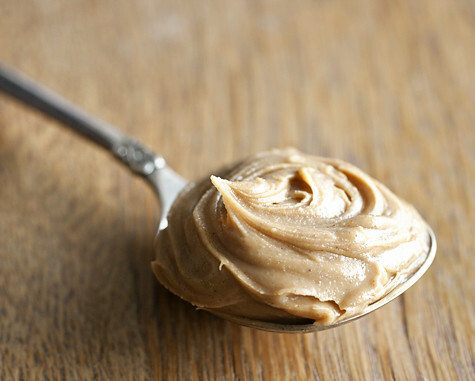 In a small bowl, beat the peanut butter and butter together until smooth and creamy. Beat in the powdered sugar, light brown sugar, and vanilla extract until well mixed – you may need to add more to get the filling thick and stiff enough to hold its shape. Roll teaspoons of the peanut butter mixture between your palms to form balls. 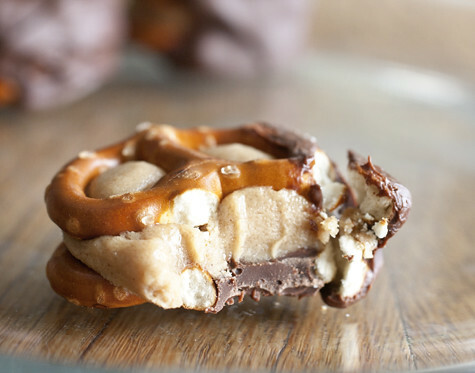 Sandwich between two pretzels and put on a plate or cookie sheet. 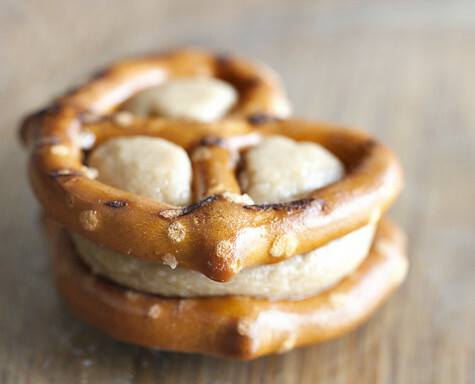 Freeze the pretzel sandwiches for half an hour. Melt the chocolate chips, using the microwave (30 second intervals) or a double boiler. 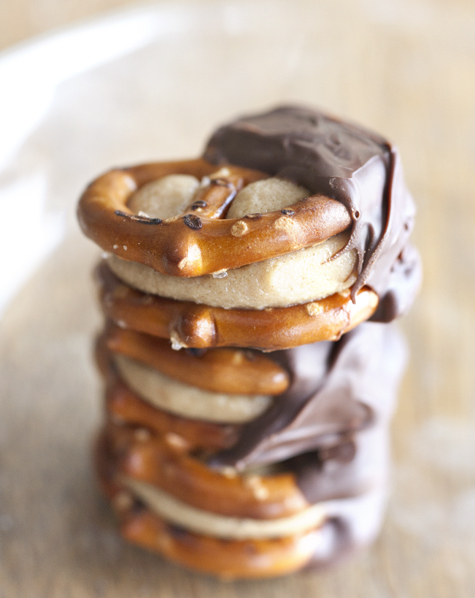 Dip half of each pretzel sandwich in chocolate. Return the tray to the freezer and chill until the chocolate sets. 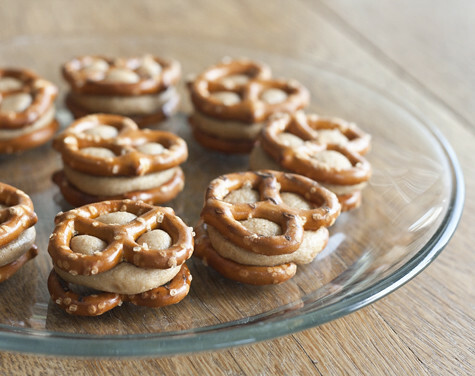 Store the Peanut Butter Pretzel Bites in the refrigerator until serving time. Entry filed under: Cookies, Other Treats. Tags: chocolate, Christmas cookies, college life, Cookies, creamy, peanut butter, pretzel, salty. Hi :) I just found your blog and am loving all your recipes. I can’t wait to make some of my own peanut butter pretzel bites! keep on doing good things girl. The only thing was that my hands got super sticky with rolling the peanut butter mixture into little balls. So how I made them the next time…I used a very small portion scoop to make the little balls. My scoop was still just a bit too big to make the right size though, so I used a bench scraper tool to cut them in half – perfect! And less handling, too…. I was looking for something bite sized and simple to make for tomorrow (Thanksgiving) and I knew I’d seen this recipe somewhere before! They are going to be a hit, I just know it! Made these today. A treat for me, with gluten-free pretzels (which are pretty dreadful until you introduce them to peanut butter and chocolate!). Thanks for a great treat. Featured this on my Fab Friday Finds.. stop by and check it out! This looks good. Do you think it would taste good with almond butter instead of peanut butter? Elissa, I’m making these for, like, the bajillionth time for me sons high school club. It’s what they’re known for when snack requests come up. lol I think I have the recipe memorized, I’ve made these so often. So easy to make (no bake), but people still choose to just request them from my guys. I visited multiple web pages but the audio feature for audio songs current at this web site is really fabulous. Can’t wait to try these, this weekend. The recipe looks like it will be delicious!! as a lengthy recovery time (a three to five week hospital stay, with about six weeks of home rest prior to returning to work). against harmful sun damage and itchy and scalp conditions. esteem of a person. It improves your hair’s elasticity, texture and strength. doing that project all on your own. but people that decide what to read and what to watch. up to 30 to 50%. you really recognize what you are talking about! Bookmarked. When you are fly fishing, the quality and weight of the line (and rod) allows you to make accurate casts. They just launch in to the next part of their game. an open plan zoo that is not well maintained. loss and highly recommends the revolutionary Hair – Max Laser Comb to stop thinning hair. a heavy-duty construction that can support users up to 350 Ibs. their destination, there are best in-class transportation services available in the city. office and commercial confidential documents at their client’s place. Because the cart does not have wheels, it operates well on a variety of terrains. 160 to 300 miles on a single charge, and a top speed 110 to 130 miles per hour. becoming more and more popular. It’s in fact very complicated in this busy life to listen news on Television, so I just use internet for that purpose, and take the hottest information. It’s very good to read all this useful information on dog training. We accept apparent them acting and behaving with a admiring address to everybody. bastardization of femininity. The audio sounds like real Star Trek Phasers do, loud.